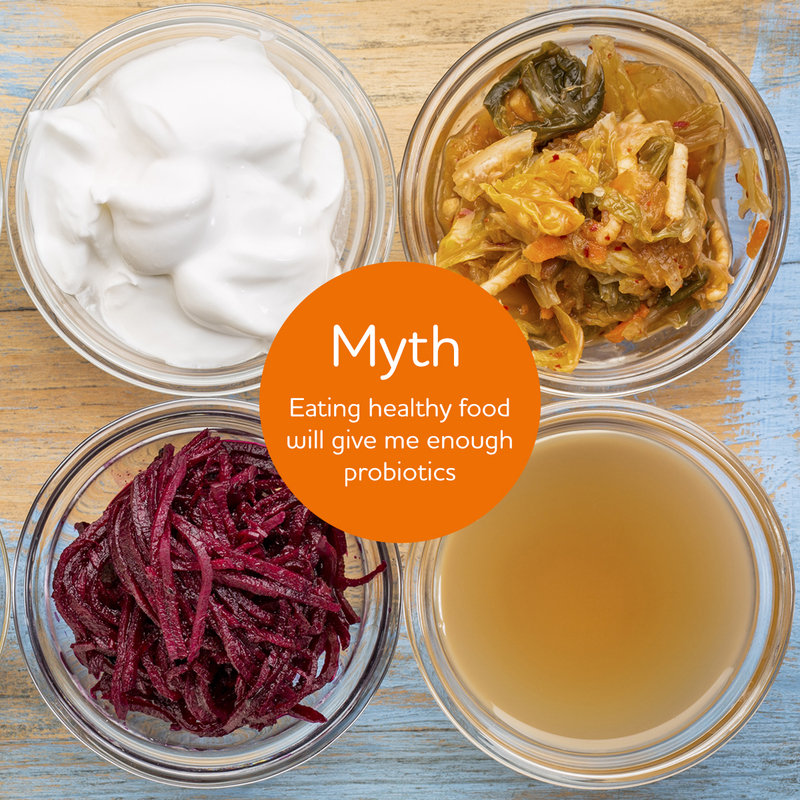 No, there is a big difference between different probiotic products. The probiotic effect needs to be shown in clinical studies, i.e. studies in humans. Different strains of bacteria have different properties and thereby different effect. Many probiotics are only labeled containing “Lactobacillus acidophilus” and not specifying whether it is Lactobacillus acidophilus LA-5 or Lactobacillus acidophilus NCFM – strains that differ from each other equally much as an apple from a cat. 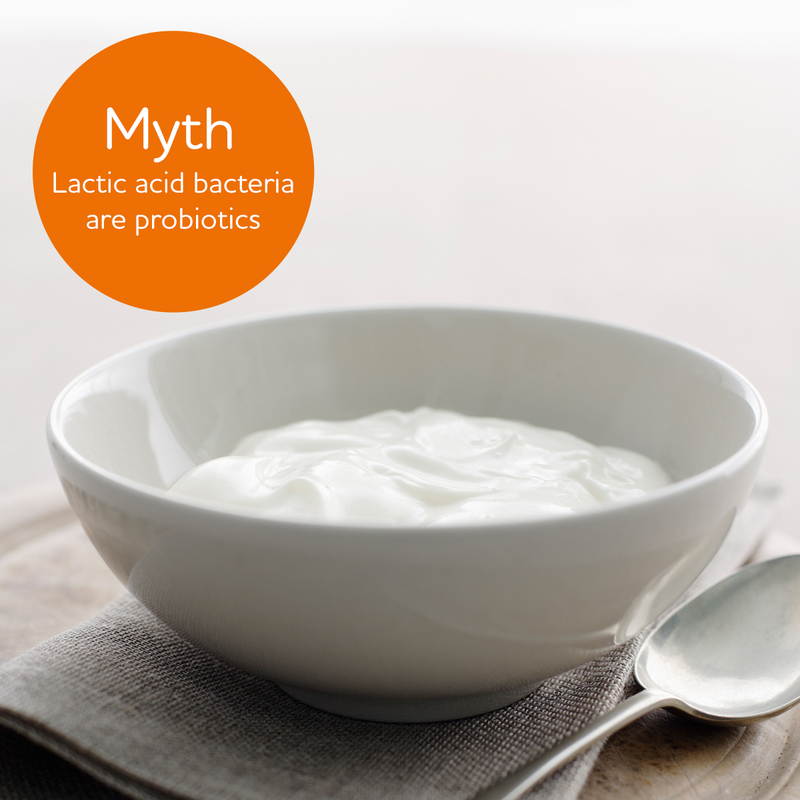 No, there are many different lactic acid bacteria such as Lactobacillus bulgaricus, Bifidobacterium animalis, Streptococcus thermophilus and Lactobacillus reuteri, but all of them do not have probiotic effects. Lactic acid bacteria are divided into genus, species and strains. Different strains of a bacteria have different characteristics and thereby different effect. That’s why a probiotic needs to be defined on strain level. The definition of probiotics is beneficial microorganisms that have shown positive effects on human health in clinical studies. 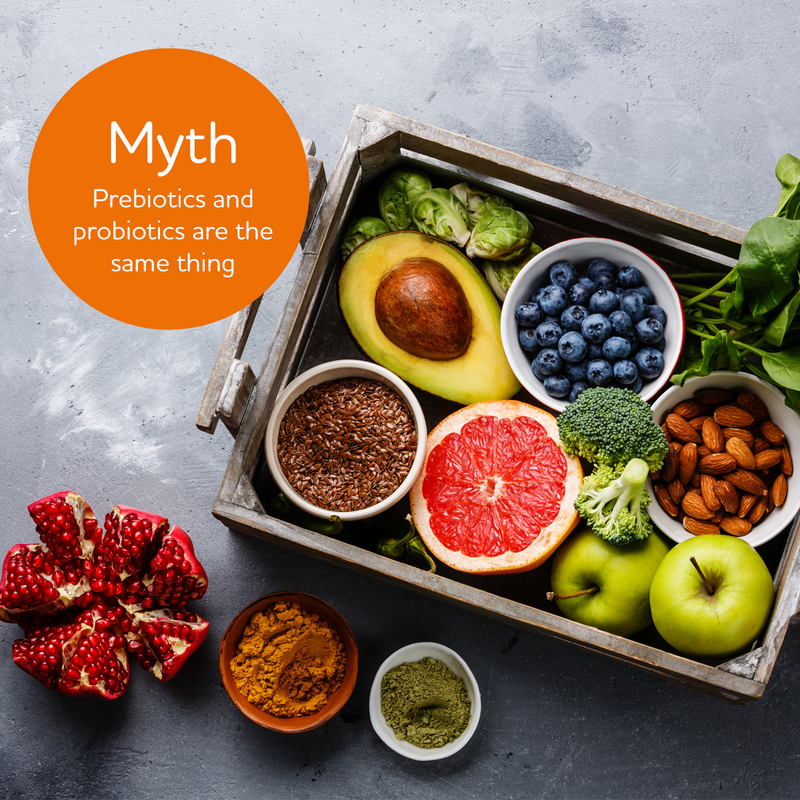 Eating a wide variety of healthy foods promotes our gut bacteria, but it is not the same thing as giving a probiotic effect. A bacterium is called a probiotic, when its health benefits are proven in clinical studies. 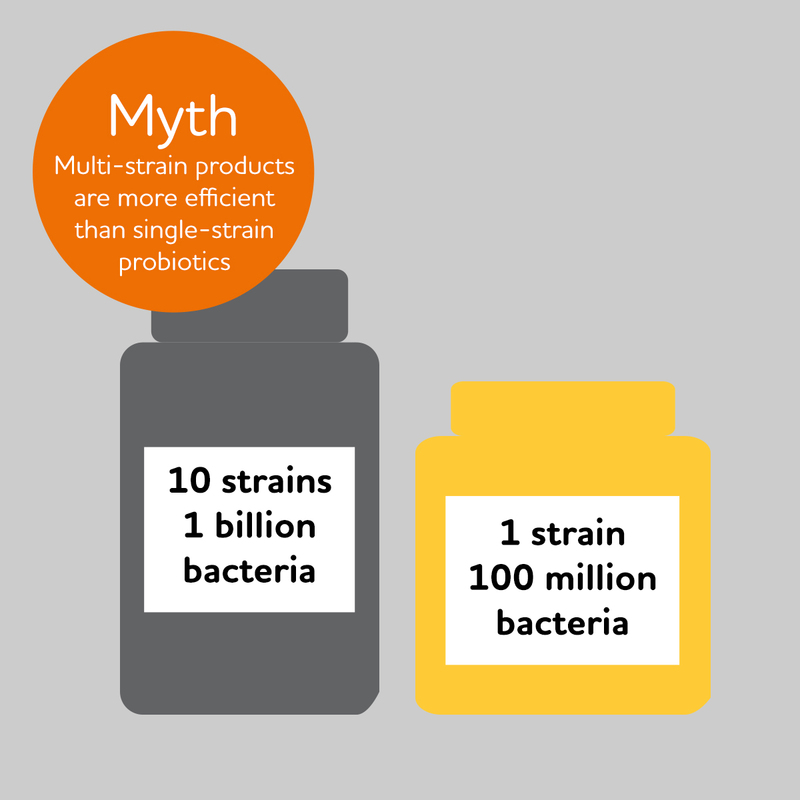 No, it is not the number of strains nor the amount of bacteria that determines whether a probiotic supplement has effect. It depends on which strain or strains the product contains. For some strains, a relatively low amount of bacteria is needed, while other strains require a larger amount. Further, most multi-strain products on the market lack clinical studies for the correct combination of strains. Health benefits of a probiotic need to be proven in human clinical studies. Probiotics are live microorganisms that, when administered in adequate amounts, confer a health benefit on the host. Prebiotics are non-digestible food content that stimulate the growth of bacteria in the digestive system in ways claimed to be beneficial to health. 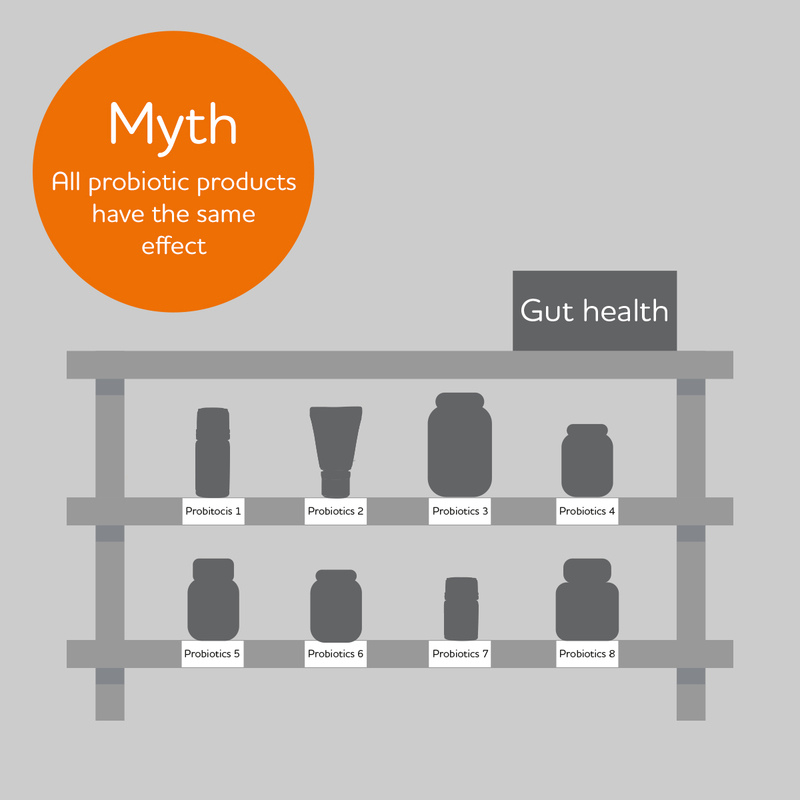 No, there are big differences between different probiotic products. Health benefits of a probiotic need to be proven in human clinical studies. 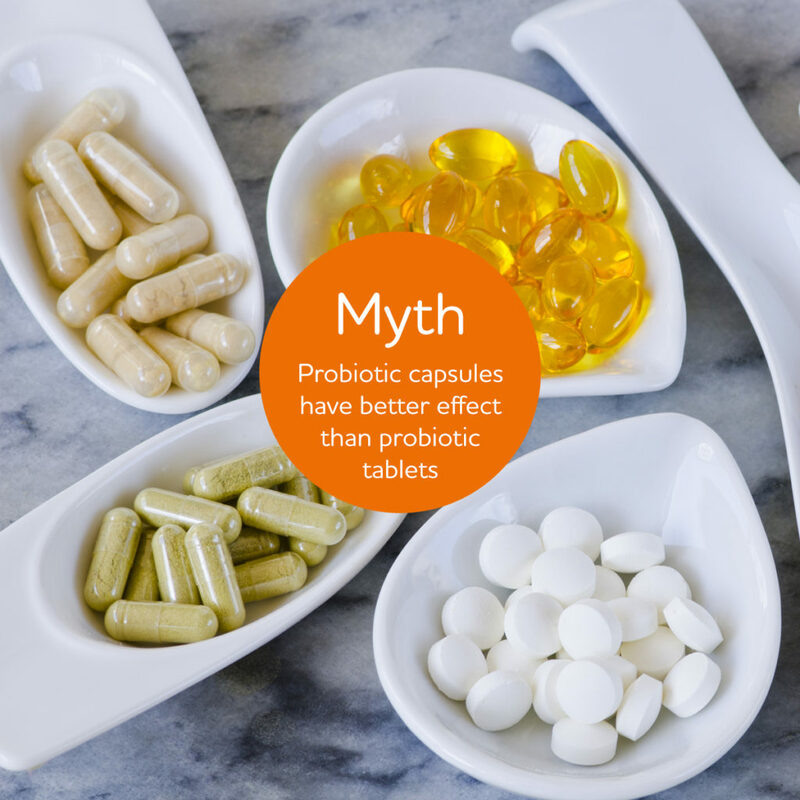 Different probiotic strains have different properties and because of that will have different effect in the human body. 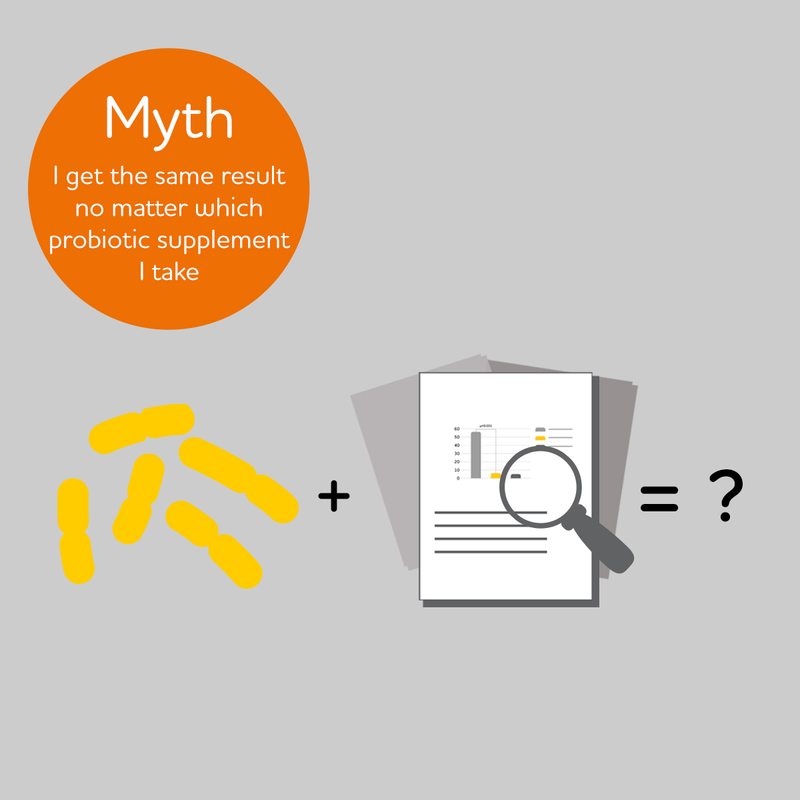 No, it doesn’t matter if a probiotic supplement is taken as a capsule, a tablet or probiotic drops suspended in oil. A probiotic bacterium of human origin, such as L. reuteri Protectis, generally survives better in the human gastrointestinal tract than bacteria that are not of human origin.